The Norwegian Forest Cat has a mystical history rooted in Norse folktales. Come find out what you can expect from this adorable breed! When you read fairy tales that feature felines, picture the “skogkatt,” as this breed is known in his native Norway. The Norwegian Forest Cat’s mythological ancestors include the giant cats that pulled the chariot of Norse goddess Freya. They were so large that not even mighty Thor could lift them. Norse folktales describe the skogkatt (which translates to “forest cat”) as a “mountain-dwelling fairy cat.” And in a more reality-based scenario, the sturdy longhaired cats may well have served as mousers in Viking longboats. 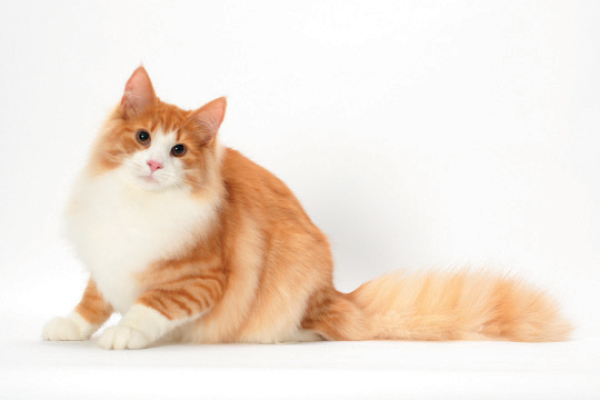 An orange tabby Norwegian Forest Cat. Photography by Tetsu Yamazaki. People are attracted to the Wegie by the cat’s striking good looks, but it’s the personality that keeps them coming back for more. The moderately active cats are sweet and curious. 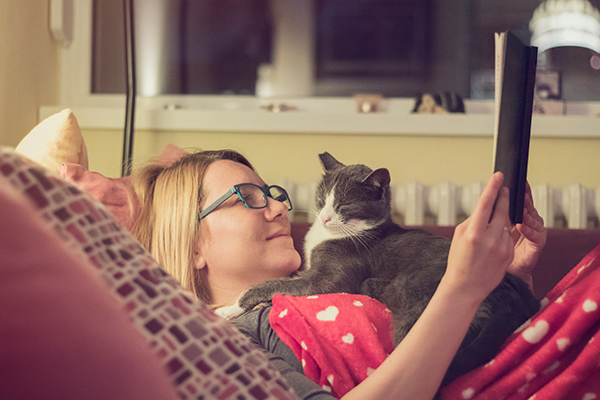 They love people, bonding deeply with family members but aren’t necessarily lap sitters. The Norwegian Forest Cat is a laid-back cat who gets along well with other cats and with dogs. He doesn’t like being left alone and will “check in” with his people throughout the day. He may be reserved at first with strangers, but once he gets to know people he’s friendly toward them. Wegies are known to take contraband to their carriers, the top of their cat tree or other “safe” spots, and they can carry more weight than you might think. A Wegie will follow you from room to room and doesn’t like it if you are behind closed doors. The Wegie is a large cat and typically weighs 9 to 16 pounds. 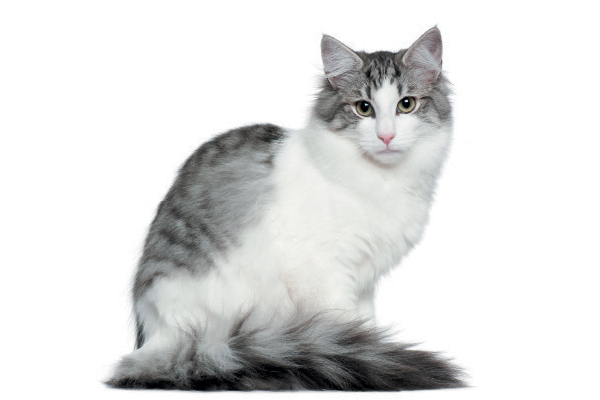 The Norwegian Forest Cat should be combed once or twice a week to remove dead hair and keep the coat healthy. The thick winter coat sheds heavily in spring, and during that time the cat may need daily combing. Ears can become excessively oily or waxy. It can take five years for a Norwegian Forest Cat to achieve full physical maturity. 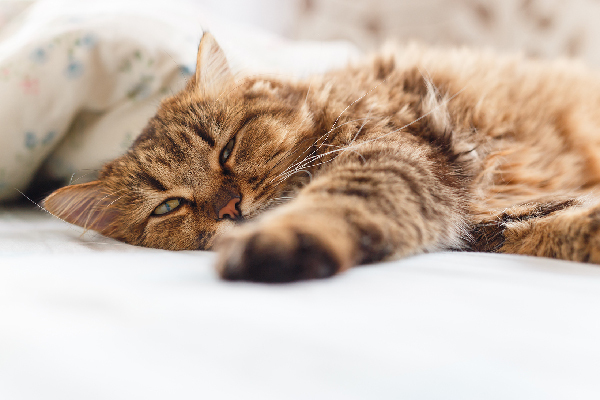 The NFC is generally healthy, but hypertrophic cardiomyopathy, the most common form of heart disease in cats, is a concern. Key breeding cats older than 2 years should be given an ultrasound periodically by a veterinary cardiologist for signs of the disease. Like any cat, an individual Norwegian Forest Cat may develop common feline diseases such as pancreatitis or hyperthyroidism. The Norwegian Forest Cat has been long known in Norway, but the cats as a distinct type were almost lost to history because there was no official breeding program for them. It wasn’t until after World War II that cat lovers were able to take steps to save the breed. In the United States the NFC is a relatively new breed. The first pair was imported from Norway in 1979. The International Cat Association was the first North American registry to grant Championship status to the Norwegian Forest Cat in 1984. The Cat Fanciers’ Association began registering Norwegian Forest Cats in 1987 and granted the breed full championship status in 1993. The Norwegian Forest Cat comes in many different colors and patterns. The brown tabby and white coat is best known, but the cats may also be white, black, blue, red, tortoiseshell, bicolor and more. Only pointed patterns are not permitted. Some Wegies are known for dipping their paws in water and then licking it off or pulling dry food out of their dish and eating it off the floor. 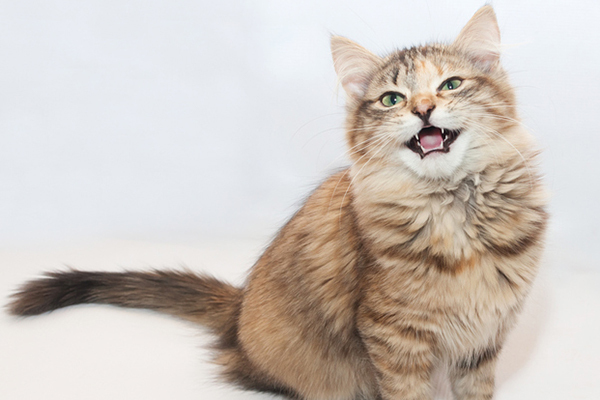 Norwegian Forest Cats are smart, but they might “play dumb” if there’s something they don’t want to do. Thumbnail: Photography ©GlobalP | Thinkstock. Kim Campbell Thornton has been writing about cats and dogs for 31 years. She is the award-winning author of more than two dozen books and hundreds of articles on pet care, health and behavior. I’ve been having trouble determining if my cat is a forest cat or a Manecoon. Judging by the tail I’ve been led to think she is a Forest Cat. She has a brown and black pattern on her fur, but she also has a slight orange patch on her nose. Any cat experts know if this pattern is normal for the Forest cat? She also doesn’t like to play too much and she’s honestly just a gentle cuddle bug, but she is very irritable sometimes, usually when I try to move around in bed or something. Is this normal behavior? Srry…didn’t know site duplicated comment!! Nope….never been on this site!!!! Never looked name of breed up!! How would I know for sure my Pretty Feisty Kit is a Norwegian Forest Cat?…he looks almost identical to the one at the top of this article…gave me a start..so similar…and a local Officer who met him that goes to cat shows mentioned this to me…everyone thinks he’s beautiful…best personality…follows me everywhere…very loyal & precious! Thanks for reaching out and welcome to the site! 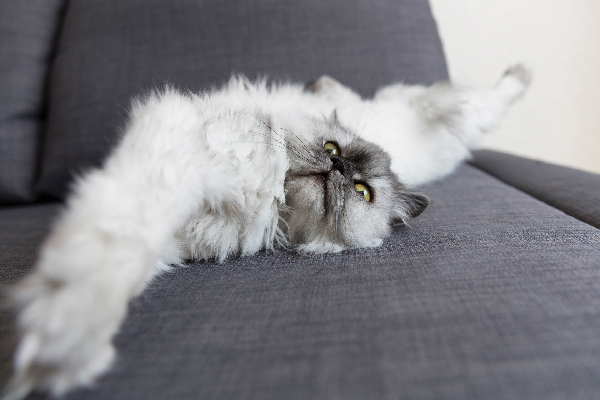 You may want to ask your vet for further insight into your cat’s breed.